July 10, 2018 - The recent Iranian opposition convention, where an enormous number of Iranian regime dissidents rallied to voice their protests against Tehran, is now known as the largest platform against the mullahs’ dictatorship. 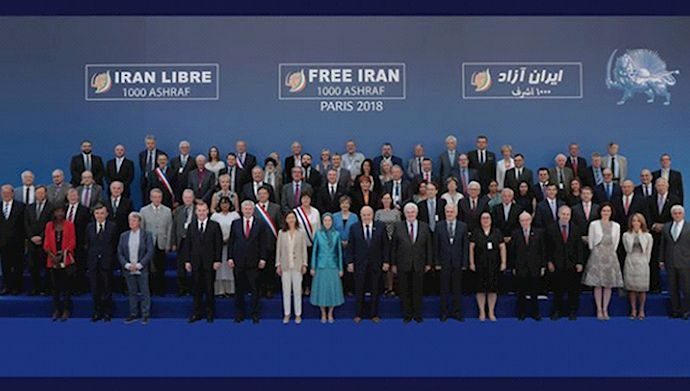 While Iran’s regime claims this opposition movement has no base or support, the light of this convention is shining bright across the globe, and especially inside Iran, providing hope for all freedom lovers across this land. This rally is the beginning of a new chapter for the network affiliated to the People's Mojahedin Organization of Iran (PMOI/MEK) inside Iran. Following decades of resistance in the face of murder and mass killings, this movement has played s pivotal role in realizing freedom in our dear Iran. Without a doubt, this movement will uproot the fascist mullahs’ regime and inject new life into those disappointed who have lost hope during these long years under the dictatorship. 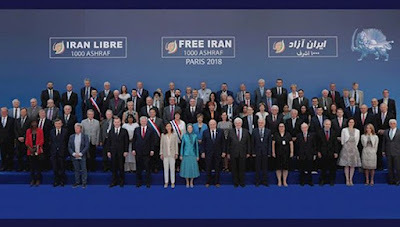 The participation in this convention by distinguished dignitaries such as former House Speaker Newt Gingrich, Mayor Rudy Giuliani, former Columbian presidential candidate Ingrid Betancourt, former White House Liaison Officer Linda Chavez, former US President advisor Francis Townsend, former French human rights minister Rama Yade, former Algerian prime minister Sid Ahmed Ghozali and … are yet another sign of a strong global consensus supporting the nationwide Iranian opposition movement aiming to overthrow this regime. Such conventions and massive rallies after Iran’s Dec/Jan uprising indicate the clock is ticking for this regime and the spring of freedom is near. In the middle of all this, voices claiming to present an alternative and now seeing their efforts becoming futile, have recently begun discrediting the PMOI/MEK’s legitimacy. In response, we must say please open your eyes and see the truth as it is. The persistence, resistance and resilience in the face of thousands of plots during this 40-year struggle, the blood of thousands of PMOI/MEK members killed by this regime, the enormous welcoming seen from a large variety of politicians and the Iranian Diaspora… all provide more proof of this movement’s capability to manage Iran’s future. In your definition of democracy, do the presence of such political figures and the support of an enormous Iranian populace not provide legitimacy? Of course, with all due respect to any viewpoints regarding the PMOI/MEK, one must say such criticisms are nothing but a small glow against the massive light of this movement’s star. This enormous source of power will soon bring an end to the impasse we are witnessing in Iran, and be the source of salvation for this country and the entire region.